The vision of Northwest Healthy Mama is not only to be a place you can use as a resource, but also a place to come together and connect with other women. 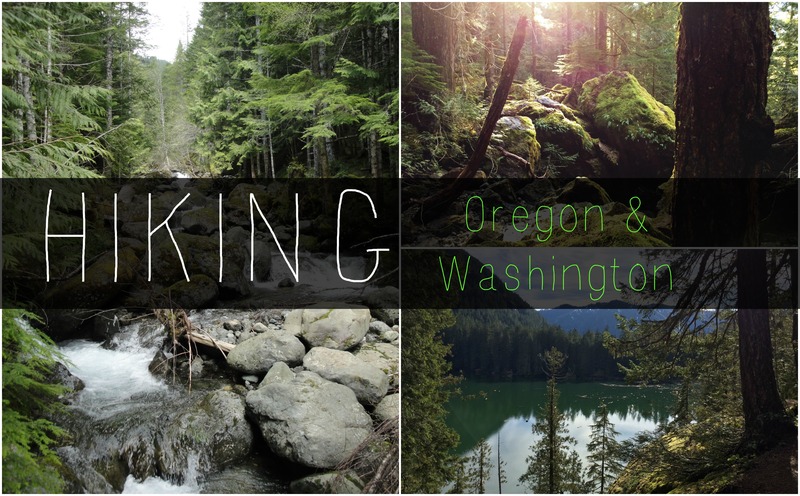 This week we thought it would be fun to have readers from all edges of Washington and Oregon share their favorite hikes with us. Read on for some truly inspiring and gorgeous places. I can’t wait to visit some of these this summer! Best Season To Go: Any time of year would be gorgeous, but I can assume if you want to see less people then sneaking a trip on a sunny winter day would be ideal! Driving Accessibility to the Trailhead: A US Forest Service Pass is required, or a day use pass is sold on site for $5! The parking area is right at the trailhead and easy access from the highway. Why do you love this hike? : The photographs sum it up perfectly, but this is the most beautiful hike I have been on. We went in January and the river was raging and the moss was out of control. 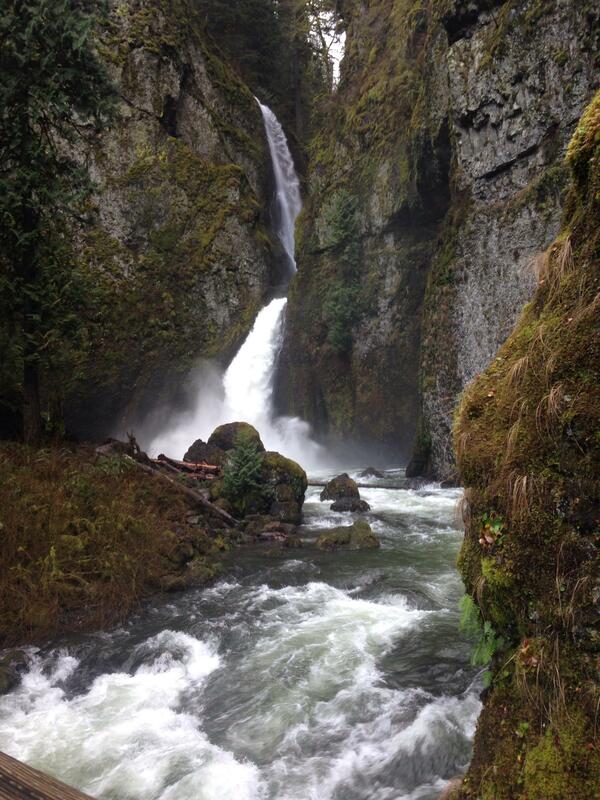 There are roughly 21 smaller waterfalls on the way to the big Wahclella Falls, each boasting their own beauty. Huge cliffs and beautiful bridges guide you along the trail to one of the most stunning sites you can imagine. The rock formations, the sounds that echo around you from the crashing of the water into the river, the smell of the fresh air. We walked ab it slower to soak up each and every fall cascading down the cliffs. Our oldest child gathered rocks along the way to throw into the river off the embankments. Is this a great hike to do with babies or kids (and why or why not)? : We took our 3 year old and six month old and both enjoyed it. There are some steep spots, but grab your little’s hand and start climbing. I can assuming it’s less slippery later in the season, as it was rather muddy when we went. Why is getting outside to hike important to you? Being outside as a family is important to us. We want them to value what nature has to offer and we are not a family that allows screen time to be part of our every day. Going on hikes allows us time to bond as a family and soak in what God has created around us. It is both a happy place for us, but also a time to unwind and be able to breath deep and release any stress that is weighing us down. I hope our kids will grow up loving it! Best Season To Go: Any! I prefer hiking here in the fall through spring actually, as it’s less popular. 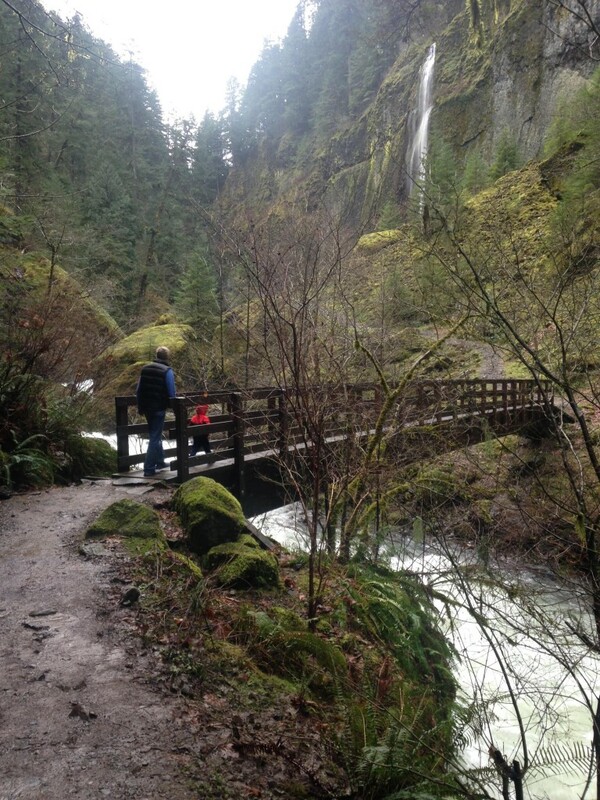 Total Roundtrip Miles: 8.2 miles hike to see all 10+ falls, or there is a shorter 5.2 mile loop. I’ve done both and both are well worth the trip there! 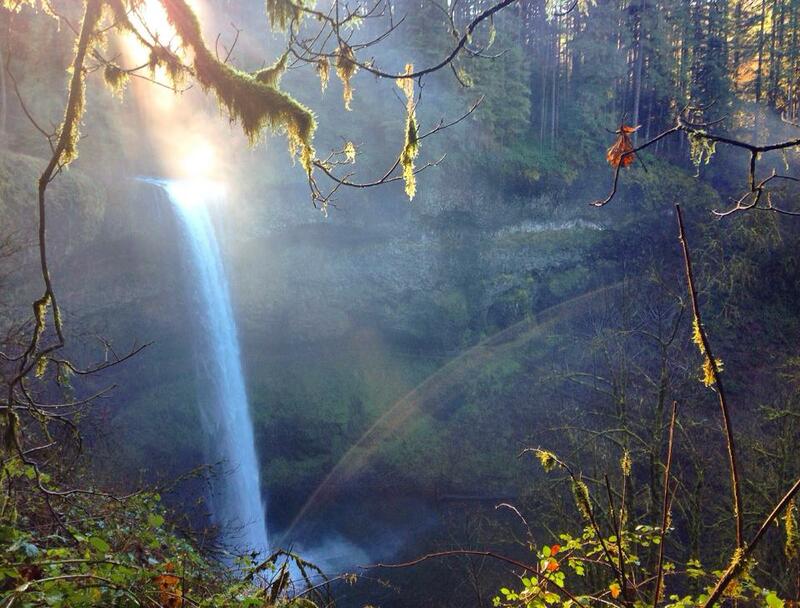 Driving Accessibility to the Trailhead: Drive to Silver Falls State Park, and park in parking lot A. You can access the trailhead by the South Falls Lodge Trailhead (there’s a cute little informational lodge open there most of the year with great maps and information). Why do you love this hike? : 10+ waterfalls in one day hike? Yes please! This hike is absolutely breathtaking around every turn, and each waterfall is unique and simply peaceful to sit and look at. I’ve always found this hike full of solitude after the initial crowds at the first falls (I swear a good majority of people come to look at the first two falls then turn around). Is this a great hike to do with babies or kids (and why or why not)? : If your kids are open to using a carrier, yes! We’ve taken our kids twice – once when our first was a baby and then again last year when they were 3 and less than a year old. My 3 year old hiked a good 2-3 miles of it but did need a bit of help at the end – we packed in a backpack Kelty carrier and a soft structered carrier as we assumed they’d both need carrying at some point. This trail has some elevation gain (1300 ft) but it’s very gradual and designated as a ‘moderate’ hike. I’d bet older kiddos would do great! Anything extra special we should know? : Dogs are only allowed on the very first portion of the hike, and not allowed once you reach the Canyon portion of the trail (which includes at least 8 of the 10 falls!). We brought our dogs the first year and had to bring them back to the car and only do the shorter loop that year due to time and not wanting to leave them too long. There is a small fee as well. Why do you love this hike? 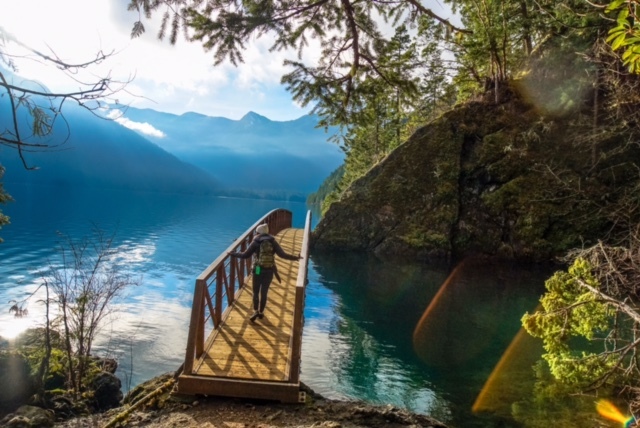 : The trail lazily follows along the banks of Lake Crescent’s jeweled, turquoise waters for a scenic and soul soothing hike. The trail is mostly a gentle walk, but there are surprises along it for you to feast your eyes upon. The old railroad tracks that once hauled wood to the mills to build WWI aircraft frames are long gone, but there are several enchanting caves along the trail where they used to pass through. The steel footbridge 3 miles into the hike will stop you in your tracks at the sight of the calm, shimmering waters and the wooded mountains expanding into the skyline. When I stopped on it on a quiet winter day, I sensed all the life teeming in the waters and hills surrounding me stood still in that moment to let me soak in the energy of this magical spot. Is this a great hike to do with babies or kids (and why or why not)? : Yes! The trail is calm and perfect for little feet to roam on. Just wear boots, as there will be some muddy spots if you go there in the fall or winter. Anything extra special we should know? : One of my favorite parts of the hike was a giant tree that had fallen into Lake Crescent and whose end gradually disappears into the dark chilly waters. It definitely beckons to be walked on (by well balanced adults, of course). The adrenaline of inching along a massive old mossy tree submerged in bottomless waters is quieted when you stop and look up to the invigorating view of the Olympics and their blanket of steep, unbroken evergreen trees. Why is getting outside to hike important to you? 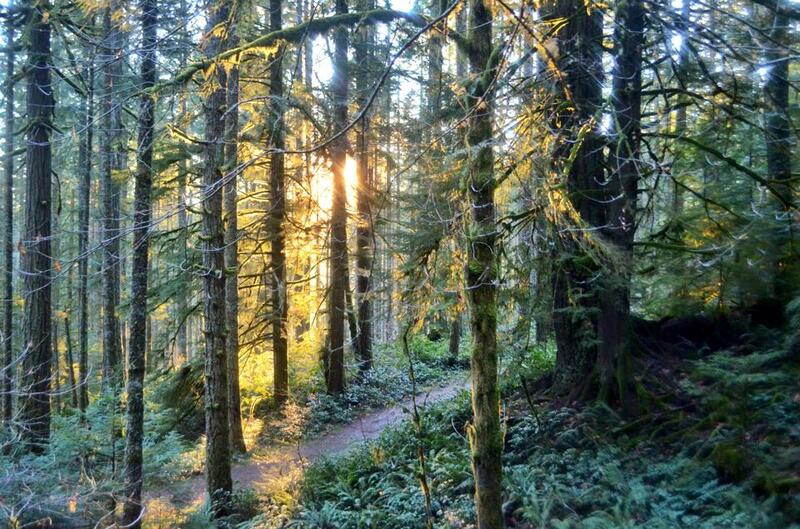 When my children are older, I hope that days spent in the woods of the Pacific Northwest fill their childhood memories. When life gets busy, quiet places in nature will be their serenity. When life gets stressful, adventures will be their therapy. That they never forget that simple things bring the purest happiness. Location: The Palouse, outside of Pullman in Southeastern Washington. Best Season To Go: Any. Be sure to wear some kind of cleats if you choose to go when there is snow/ice. Total Roundtrip Miles: 3.5 mile loop, although there is a lovely scenic point less than one mile out that can serve as a turnaround point if needed for families with little ones. Driving Accessibility to the Trailhead: Easy, paved. 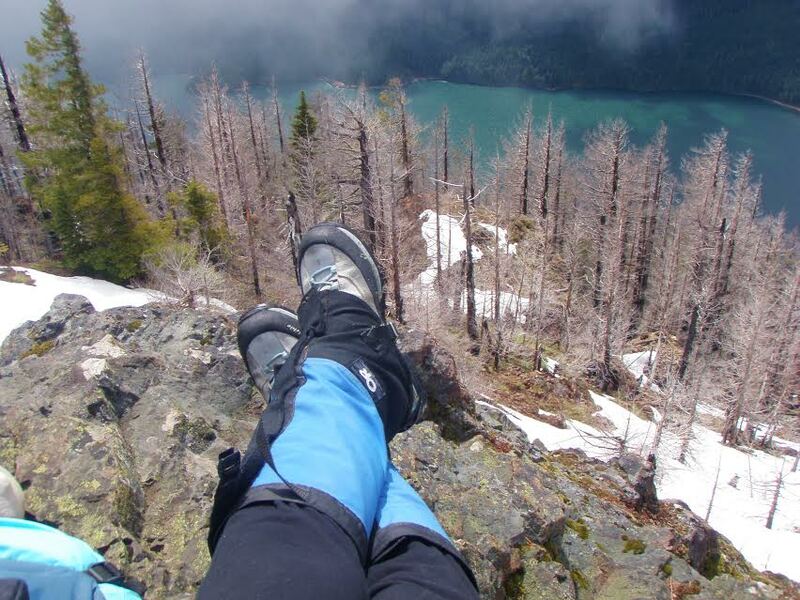 Why do you love this hike? 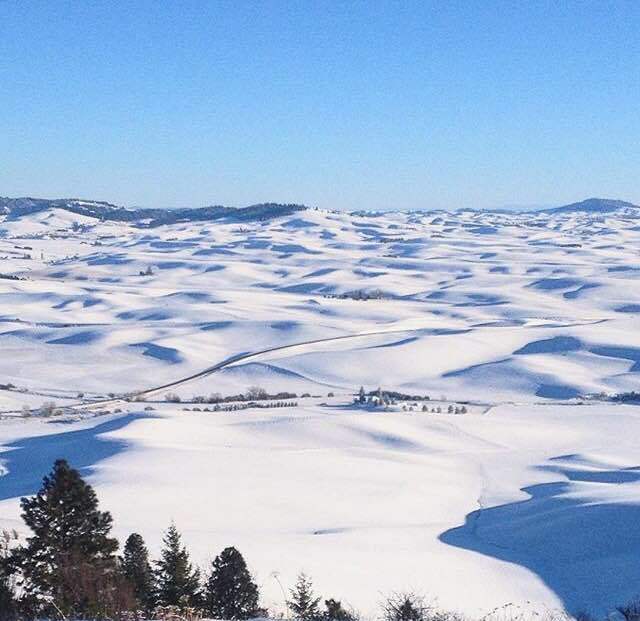 : The Palouse is a beautiful patchwork of rolling agricultural hills. This hike, situated within a small county park, allows both lovely views and a chance to be surrounded by forest. It is also part of the local culture, perhaps because there are few other close hiking opportunities in the area. I grew up hiking this trail and now love taking my own children on it. Is this a great hike to do with babies or kids (and why or why not)? : Yes, particularly because of the location. There is a picnic area at the trailhead with sheltered tables and grills, easily accessible bathrooms, and a children’s play area. It provides a wonderful opportunity for an evening or afternoon barbeque, followed by a hike to get any excess energy out of little legs. The Washington Trails Association reports a 900 ft elevation gain in the first 1.5 miles, which translates to a pretty steady incline for the first part of the trip, however the trail is wide and well maintained for easy walking. Why is getting outside to hike important to you? My parents took my siblings and I hiking since before I was born and I have so many fond memories of the times we spent as a family in the (seemingly) middle of nowhere. It took us away from our individual projects and focuses, and created an opportunity to spend quality time with each other. I learned valuable lessons about myself, life in general, nature, and grew closer to my family. This is a tradition I want to pass on to my children. Our society has so many distractions; hiking gives a chance to escape the noise of daily life. I also love watching my children enjoy nature in its richness yet simplicity. Best Season To Go: Spring, Summer and Fall. I’ve hiked it in the winter but it can be icy so I recommend wearing yak-traxs. Total Roundtrip Miles: 3 miles – but can easily be extended. 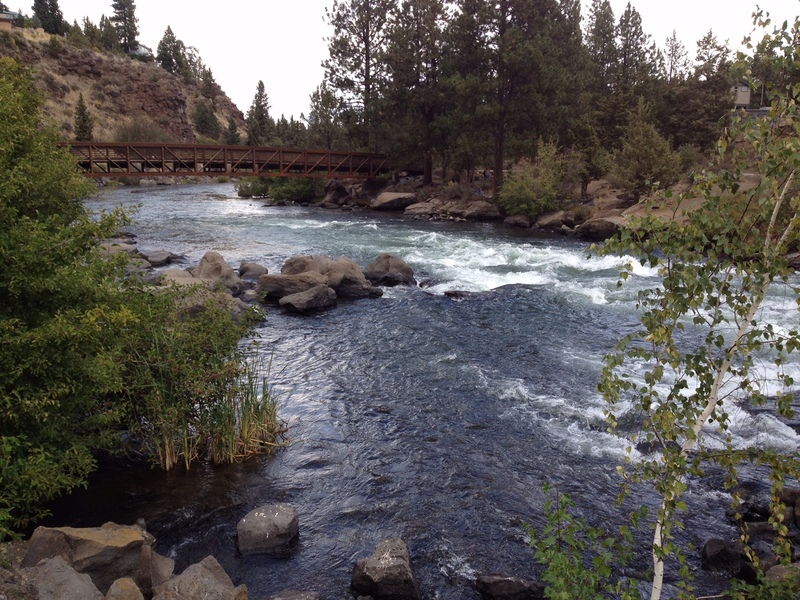 Driving Accessibility to the Trailhead: Very easy: this trail is minutes from downtown Bend. Why do you love this hike? : I love this hike because it is so close to town; I can sneak in a quick trail run after work and feel like I’m deep in the forest. I’ve hiked/ran this trail probably 50 times and the scenery is always changing based on the season and water levels of the river. Is this a great hike to do with babies or kids (and why or why not)? : Absolutely. It was tough to pick a hike because there are so many amazing trails in Bend, but I picked this one due to kid friendliness. It’s short enough that older kids can hike it by themselves. My daughter always does great in our Deuter or Ergo. I’ll run this trail with my daughter in our Bob stroller, but I wouldn’t necessarily recommend it. Anything extra special we should know? : For anyone interested in visiting Bend, I can’t recommend it enough. We have great beer, amazing restaurants, and I have four favorite coffee places at the moment. 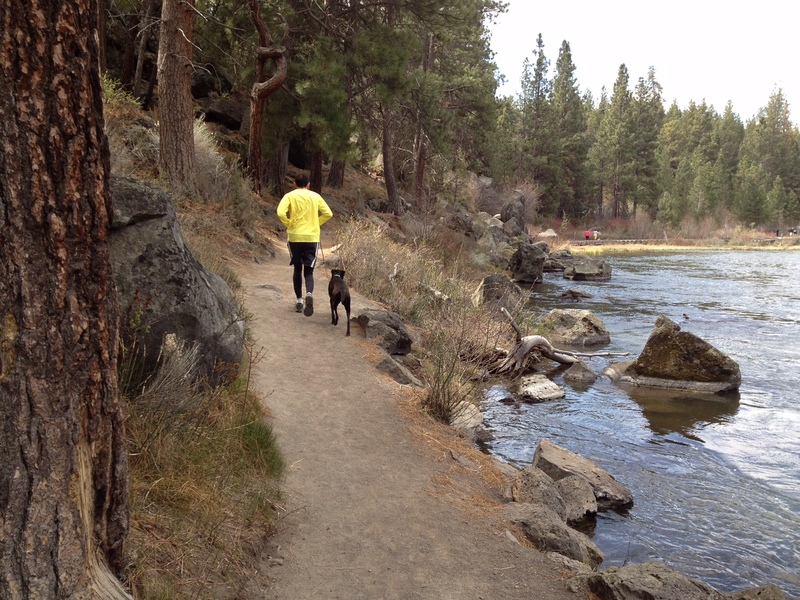 Bend is also home to a lot of elite athletes and it’s always exciting to see them out training. 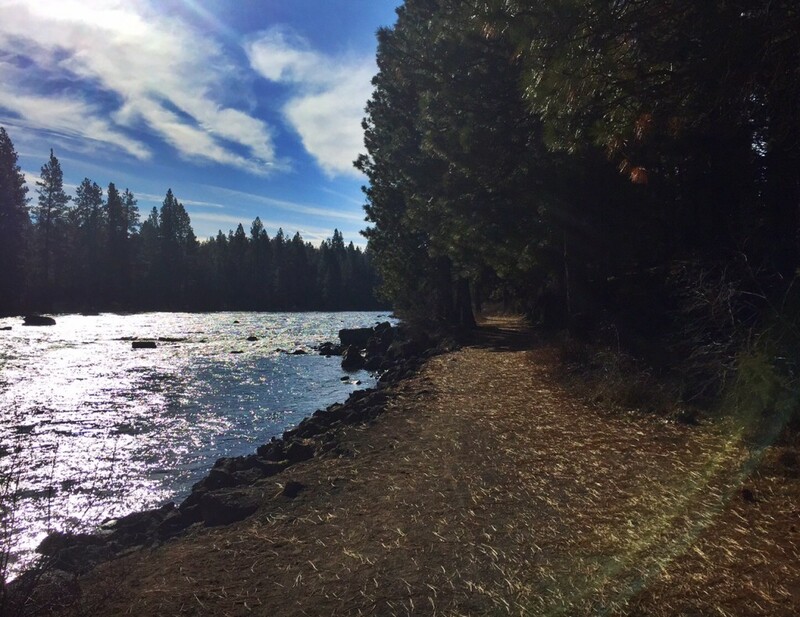 Bend has a great system of trails within the city limits and then it’s onlya 30 minute drive to the cascade lakes rec area where the hiking options are endless – rivers, lakes, waterfalls, mountain views, and wild flowers. I’m incredibly fortunate to call Bend home. Why is getting outside to hike important to you? I’ve learned the hard way that running and hiking are the best ways for me to handle stress. If I don’t get out, I become a cranky mess. I also love the quality time spent with my family and knowing that we’re creating a great foundation for my daughter to love the outdoors as much as we do. Driving Accessibility to the trailhead: Easy! You only drive on unpaved forest road for about a mile and the trailhead is right off the side of the road. Why do you love this hike? I actually moaned and complained about this hike for a long time after I did it (and maybe I still do a little bit). 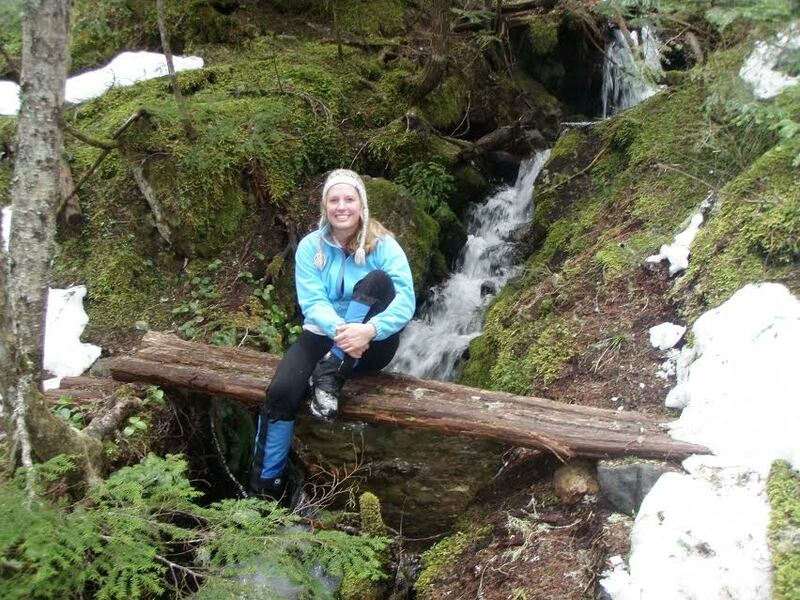 This is a very challenging hike and one of the steepest trails in the Olympics, but it’s such a fun adventure! 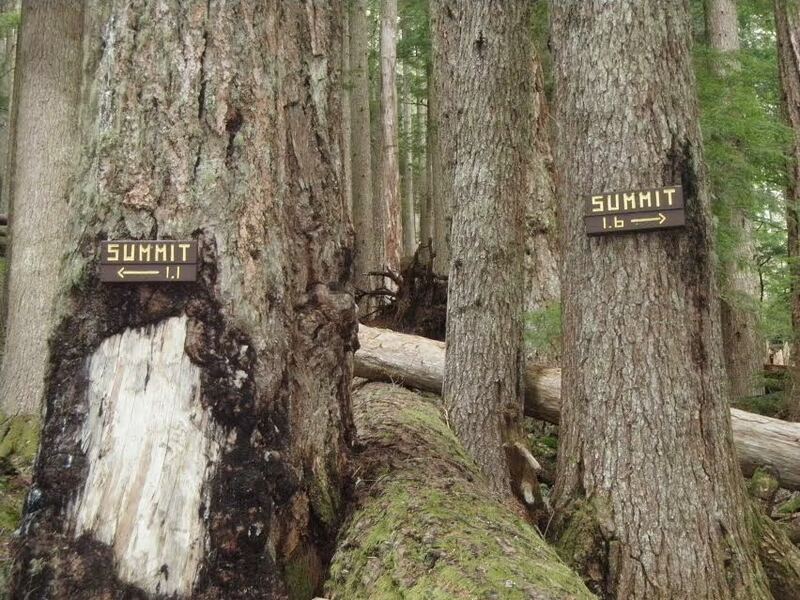 The hike starts out going through old-growth forest, and there is an option for a ‘loop’ to the summit (which climbs 1,300 feet in a mile!) 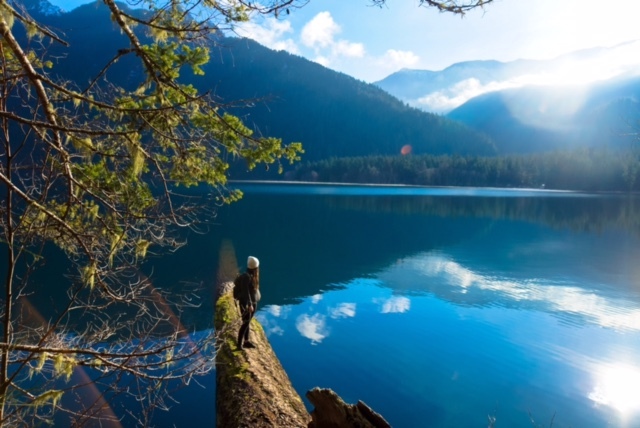 From the 4,301 foot summit you can look below at Lake Cushman and on a clear day you have a great panoramic view from the rocky summit of this tiny mountain. Is this a great hike to do with babies or kids (and why or why not? ): Absolutely not. It’s steep, some exposure and scrambling, and even though the mileage isn’t great, it makes for a long day. Grab your girlfriends or spouse and (and trekking poles) and head up for a solo day on the trail! Anything extra special we should know? : When you get to the split for the summit loop, go left and save the more gradual trail for the descent back down. Why is getting outside to hike important to you? 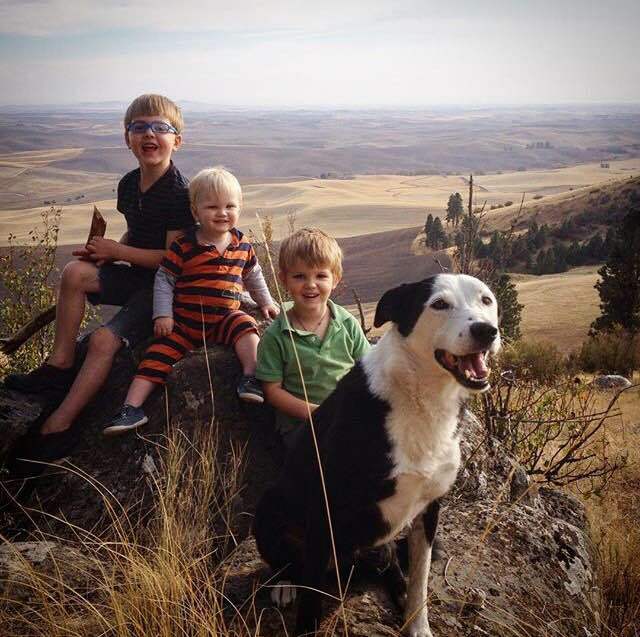 I’ve stood on the top of Mount Hood, and I’ve also hiked at a snail’s pace with my kids…and between those great divides, I still find that nature is everything. Our destination is to simply be outdoors together, living in the sacred space of mother earth. In nature we feel most alive, close to the heavens and part of all living things, right down to the moss on the forest floor. In all its intensity and unpredictability and peacefulness and exquisiteness and ethereal ways, we are reminded that we are not merely spectators on this planet. I want my kids to feel that. I want us to pause and see the moment. To push on with wide open eyes and ready ears and love in our hearts; where we follow curiosity and pay attention to the joy and magic manifesting within ourselves. A reason to breathe it all in. Which of these hikes looks the most fun for you? Let us know in the comment section below! If you have a fantastic hike you think needs to be featured here for our next ‘Reader Favorites’, let us know by sending us a message to nwhealthymama@gmail.com ! Happy hiking!